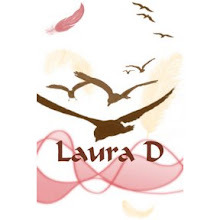 Laura D McBryde: The Comet Festival! 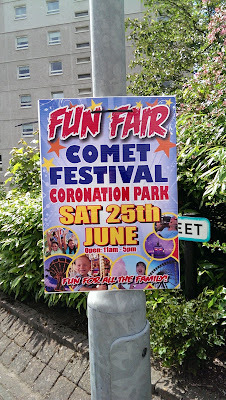 So on my way to pick up some cat litter, I stopped of at the Comet Festival. Oh the excitement! Don't poop your pants. 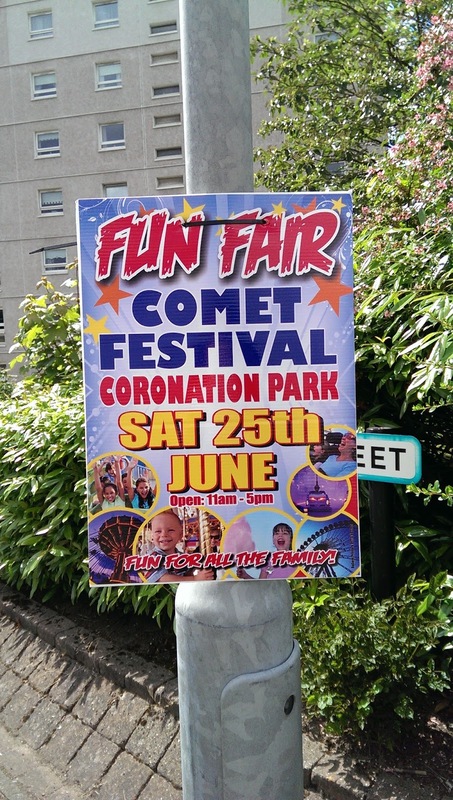 "Fun fair" is a bit of a stretch, though I'm sure they were having fun in the beer tent. ...which is fair enough. 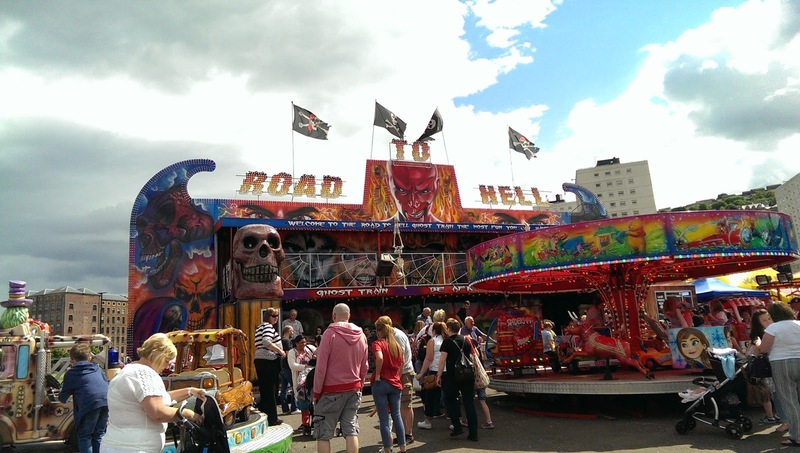 I guess it is a fun fair then. 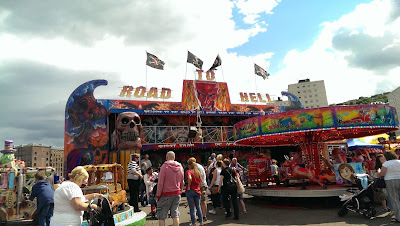 One of the rides, or a ghost house maybe. Anyway I was very fond of the pirate flags atop so I took it's picture. 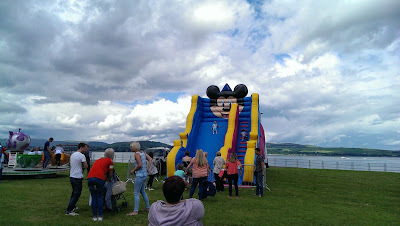 A giant Mickey Mouse inflatable slide! Mickey always seems to show up at these things. You'd think he'd be too much of a big shot, but there he is, sitting up on high, looking down on all, like the fat cat he is. ...Or big cheese, if you will. 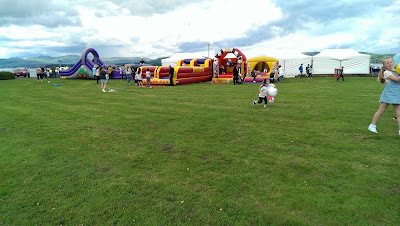 Kid with a super cool Hello Kitty balloon!! I was so jealous I went on a mission to, per chance, purchase one of my own. Turns out it was out of my price range: £3.50. Eff off! I don't have that kind of money! 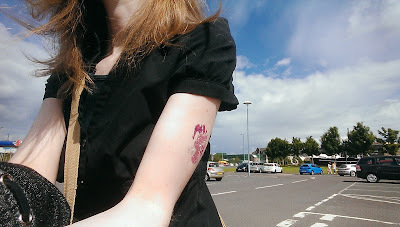 So for £1 I got the toughest, roughest, baddest mofo glitter tattoo they had. That's right, a disembodied My Little Pony head. You just try not to have that haunt your dreams!! 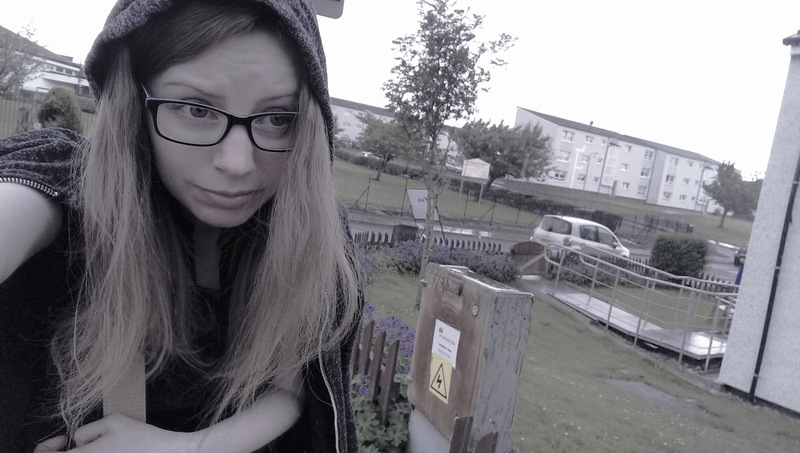 And then it rained, no, THUNDERSTORMED on my walk home. 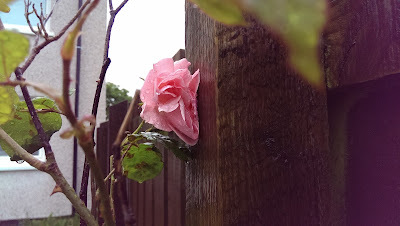 But we can't end a blogpost on such a note, so here is a very pretty, if soaked rose in my garden.